With the HFC phase down amendment—signed by 197 countries—being hailed as a historic, equitable agreement, it can be easy to overlook some pending issues. 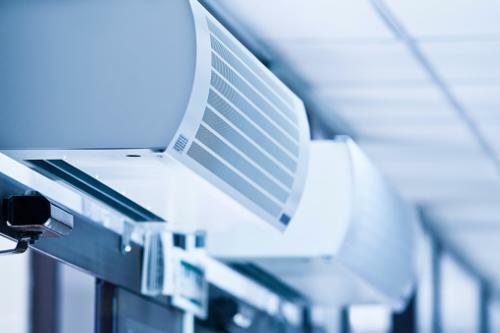 Patented, fluorinated, low global warming potential (GWP) alternatives like hydrofluoroolefins (HFOs), now have widespread application in the mobile air-conditioning sector in the European Union (EU) and United States (US). Production, licensing and sale of these refrigerants is likely to result in billions of dollars in profits for chemical giants – Honeywell International and DuPont Chemicals. These companies hold patents for the manufacture and use of HFOs, which are largely responsible for their high cost. A study by the Centre for Science and Environment (CSE) found that this patent protection to be strong and almost impenetrable. These chemicals also have significant uncertainty related to their environmental impacts. HFOs may sound eerily familiar to those who were around for the chlorofluorocarbons (CFC) and hydrochlorofluorocarbons (HCFC) phase out. It seems like another chain in the chemical treadmill that the world has been on in the last 30 years. Experts advise minimisation of the use of the new fluorinated gases, as their widespread use may end in another transition, due to the uncertainty related to their environmental impacts. This may lead to another wave of windfall profits for the two chemical giants. Hydrofluoroolefins are unsaturated compounds—there is a double bond between the two carbon atoms in their chemical structure—making the compound dissociate quickly in the atmosphere, leading to its GWP of 4. The same unstable nature however may also lead to by-products like trifluoroacetic acid (TFA), which in significant quantities is known to cause environmental damage in aquatic ecosystems. Additionally, some of the processes for the manufacture of HFO use HCFC 22 as feedstock, which may lead to the production of HFC 23—a super greenhouse gas, with a GWP of 14,800. This means that prioritizing natural refrigerants(non patented refrigerants, with no uncertainty attached to their environmental impacts) and energy efficient alternatives is crucial for a successful transition away from HFCs. The use of natural refrigerants however, requires, enabling safety standards, regulations and incentives for first movers. These should be provided to developing countries with assistance from the the Multilateral Fund (MLF) and independent research on the use of natural refrigerants in developed countries. The amendment text requires developed countries to reduce HFC consumption by 90 per cent by 2019, India and nine other south and west Asian countries to freeze the use of HFCs by 2028 (pending a review 4-5 before that) at levels equal to average HFC consumption between 2024-26 and all other developing countries, to freeze HFC consumption by 2025) at levels equal to average HFC consumption between 2020-22. The amendment is being hailed as a big victory for global justice with India successfully defending its negotiating position to come out of the talks with a favourable agreement. There is however still some uncertainty related to financing the new alternatives to HFCs, with the MLF being asked to draft detailed funding guidelines in the next three years. These guidelines will also consider proposals by India to have all decisions by the MLF are considered by the parties at the annual meeting of parties (MOP). The outcome of the guidelines drafting process and discussion on India’s proposal would provide a clearer picture of the effectiveness of the agreement, especially in African and small island nations which need finance the most.